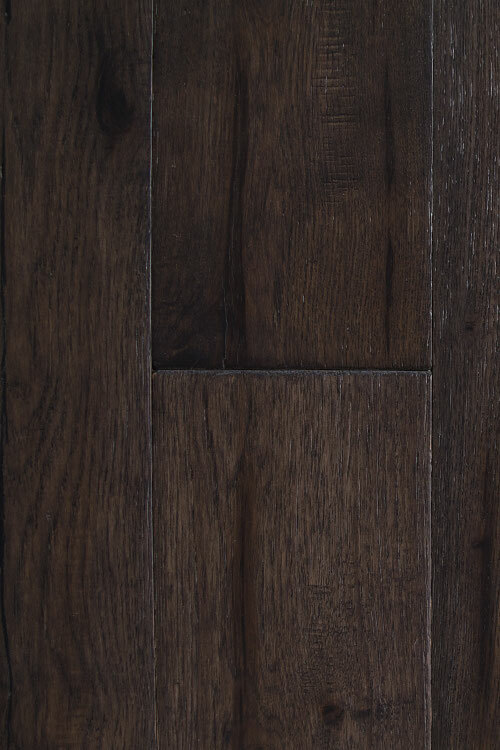 engineered hardwood flooring - "hickory silver night"
An engineered hardwood floor option that needs glue, nail or staple installation. The hickory floor is beneficial for commercial and residential uses. Its hand scraped texture is soft and appealing. Hickory Silver Night's size is 3/4 by 6 inches. Property owners who want to invest in stunning dark brown flooring can believe in this floor product 100 percent. Hickory Silver Night is so dark that it appears to be nearly black from a distance. This product encapsulates the meaning of strength. It defines sophistication as well. People who want to make sound flooring choices can depend on this flooring choice without a second of hesitation.